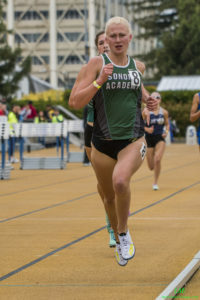 Analy’s Sierra Atkins lead a strong Redwood Empire group thru the first lap in 71.49, with Gabriell Peterson right beside her at 71.50, Aimee Armstrong in 4th at 72.18 and Rylee Bowen back in 9th at 73.13. 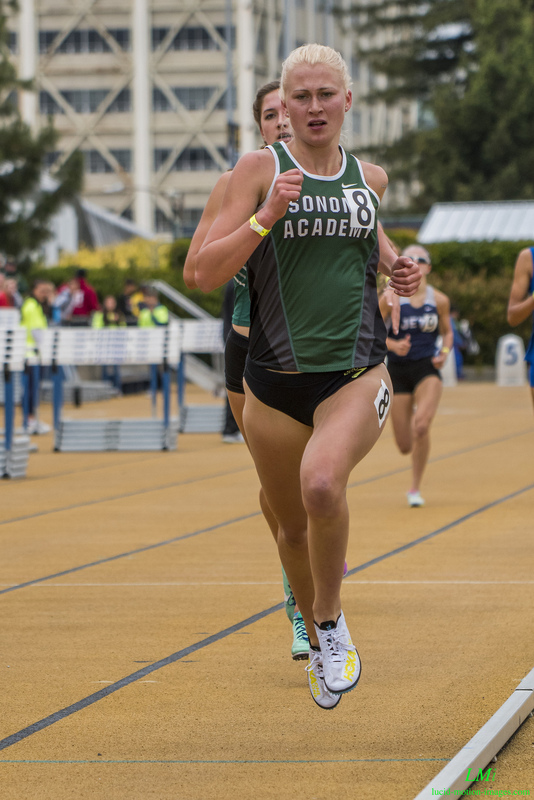 Peterson kept almost the same pace at 72.56 to open up a 2.1 second gap on the field with Miramonte’s Haskell next with Atkins 3rd, Bowen moving up to 4th and Armstrong in 7th. Peterson actual went faster in the 3rd lap at 72.49 to open up a huge lead of over 6 seconds on Bowen who had moved up to 2nd place. Atkins was now 4th with Armstrong in 6th. By the finish Peterson crossed the line 7 seconds ahead of the field with a still faster 72.38 final lap. 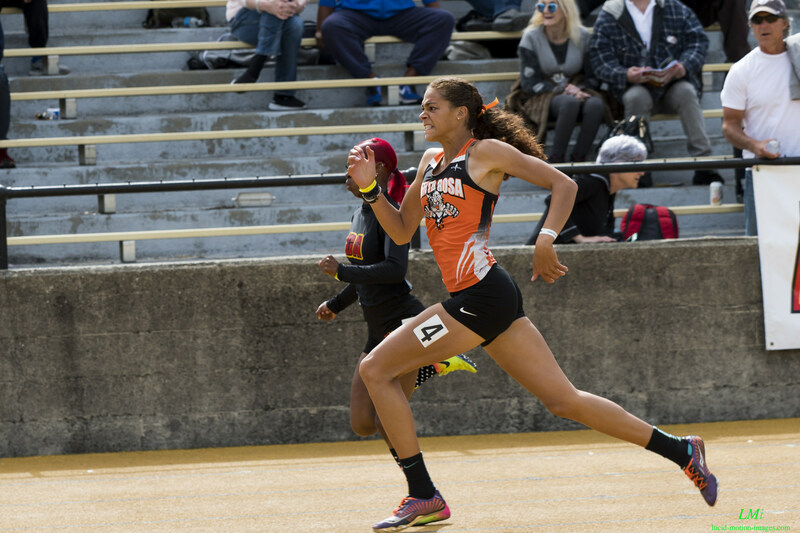 Her 4:48.91 moved her all the way to 4th All-Time behind Julia Stamps, Bowen and Sara Bei. Only Stamps and Bowen were faster as juniors. 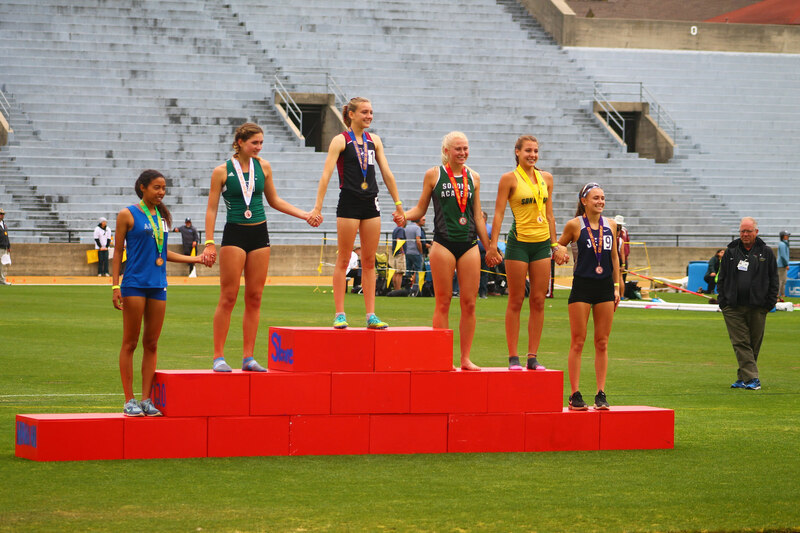 Bowen had an almost 10 second season best to make state for the fourth year in 4:55.94 giving us two girls moving on to state in that event. Atkins 4:58.03 broke the old Analy school record of Sherri Minkler 5:01.23 1985 and moved her to 12th All-Time. While Armstrong moved to 19th All-Time with her 5:00.01. Bowen is the only senior of our four girls. 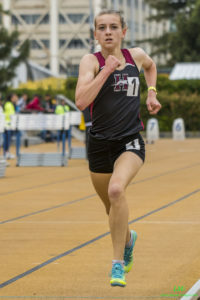 Kirsten Carter of Santa Rosa will make the trip to state in three events. 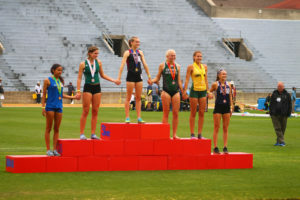 She placed 2nd in the 200 at 24.29, 3rd in the 400 at 56.83 and ran a leg on the 3rd place 1600 relay team along with Izel Zamora, Jacque Hale and Caroline Duffy that ran 3:55.67. 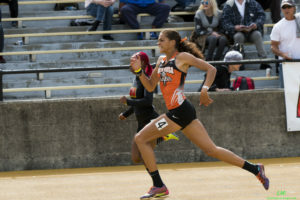 Her 200 was an Empire wind legal record and the relay time was the number three performance ever behind two 2006 Carrillo times. Carter now has the 11 fastest 200’s ever and 23 of the top 31. 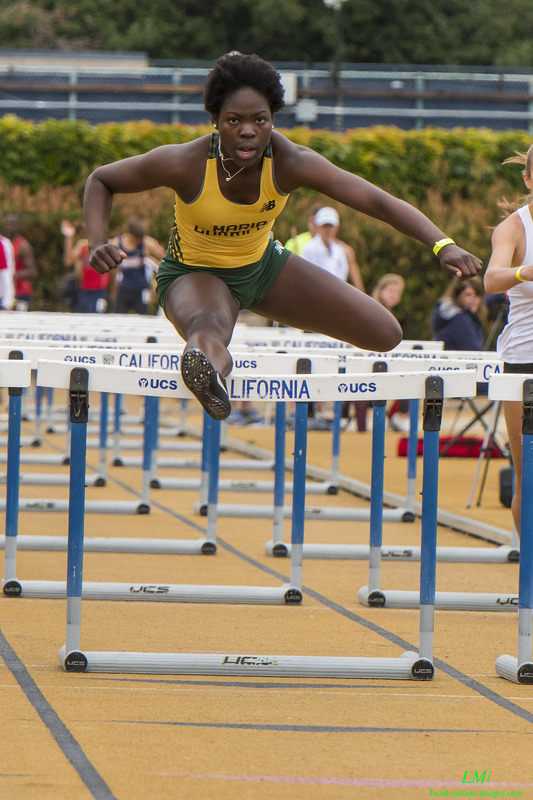 Habibah Sanusi of Maria Carrillo placed 2nd in the 100 high’s in 14.80. That time was the 7th All-Time performance in that event and her second fastest ever. Maria Carrillo’s Sarah Aanenson was our first girl to qualify for state with her 3rd place jump of 17-7.25. Caitlin Grace of Santa Rosa placed 7th in the NCS with her Prep best discus toss of 125-11. That moved her to 12th All-Time and broke the school record. Sara Flores of El Molino placed 9th in the NCS at 120-05 and moved up to 34th All-Time. Kayley Walker of Santa Rosa also PRed at 114-0 to place 10th. Amy Herrmann of Middletown was our top high jumper at 5-0 placing 8th. Gabrielle Peterson (4:58.12) and Rylee Bowen (5:03.86) went 1-2 in the 1600 trials in their heat with Peterson’s time being the fastest of the day. Aimee Armstrong (5:00.73) and Sierra Atkins (5:03.33) both made the final in their heat by time with Armstrong’s PR moving her to 7th All-Time. Kirsten Carter won her heat of the 400 in 56.86 . Assata Polk grab the last qualifying spot n the 400 at 58.41. Carter also won her heat of the 200 in 25.03. Santa Rosa 4×4 made the final with a 3:58.31. 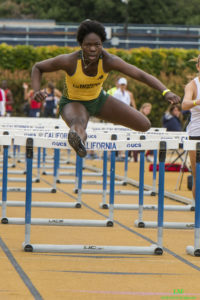 Habibah Sanusi won her heat of the 100 high’s in 15.30 for the 5th fastest time of the day. 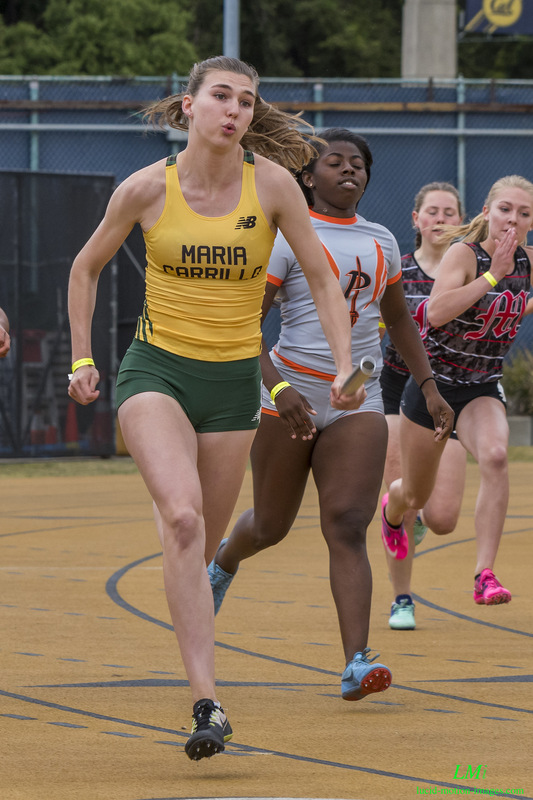 Maria Carrillo 400 relay team tied the mark for the 2nd All-Time fastest team running 49.10 which will probably put them in lane 2 for the finals as the #5 seed.